I’ve been up to something new – and modern. And I’m loving it. It has been awhile since I’ve personally made some pieced blocks, and since they are all different, and in bright colours, I’m in rainbow nirvana. 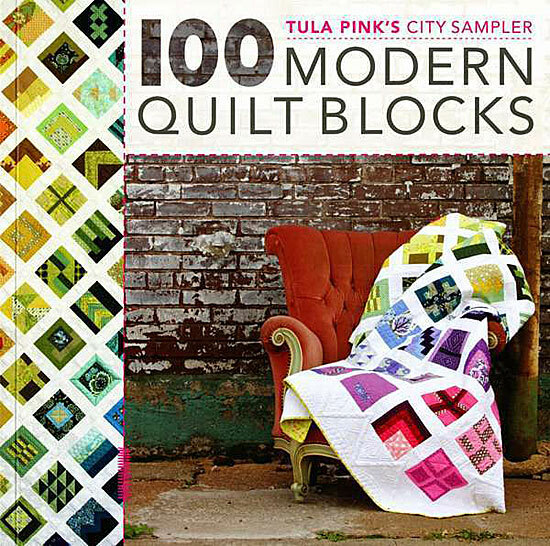 They are all from the book, “Tula Pink’s City Sampler, 100 Modern Quilt Blocks”. And while the exact fabrics in the book are are no longer available for me to purchase from Free Spirit, we certainly have plenty of other modern fabrics on the shelf to use which are working out very well. I am working my way through the blocks on a columnar basis (rows are horizontal, columns are vertical) of the “Gridlock” quilt featured on the front cover. 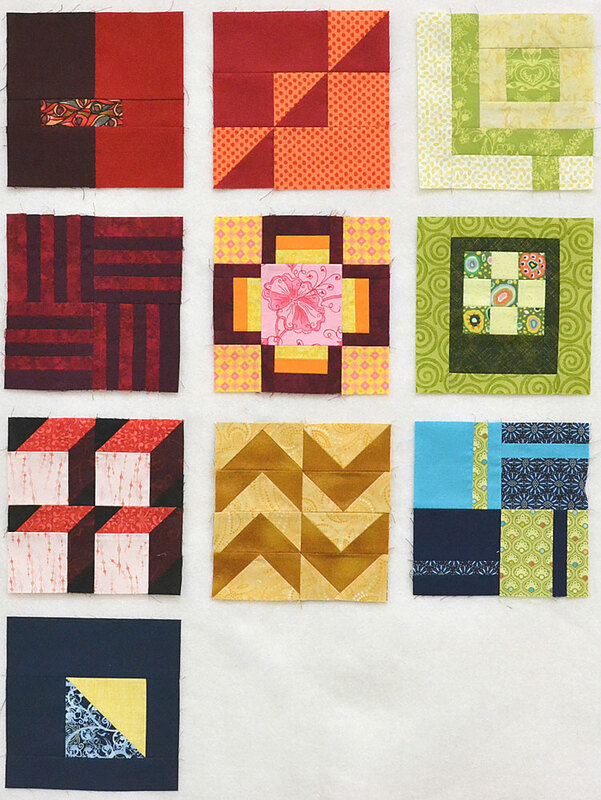 Here is a picture of my first 10 blocks which are the 1st column of the quilt on pages 244-245. Each block is only 6 ½” unfinished. And since every block is a different pieced design, there is no repetition in the quilt. I made these first ten blocks last Monday. Yes, in one day. Certainly, each block is quite achievable in small time allotments, and you could make at least one block each night after work or school or after the kids have gone to bed. I plan on continuing to use a wide variety of individual fabrics to keep up with the scrappy look, but I will be using colours close to those Tula Pink features in the book. Oh, and yes folks, it is a block of the month through the store, starting November. Each month participants receive 10 individually packaged kits, each for one of the blocks in that month’s column of the quilt. The first month also includes the book, unless you already have it and don’t need it. Click here if you would like to see this Block of the Month on our webstore. I can hardly wait to pick out the fabrics for December’s blocks. I absolutely love putting the colours and fabrics together. It is one of my favorite things to do.